Hello All! I'm looking forward to seeing you join us today. Come party with us at The Ultimate Party on Google+; help us by spreading the word and sharing a post. Thank you! The hashtag to get you right in the mix is #theultimateparty Eight weeks ago, on a Friday, Tammy D from The Ultimate Linky, Renee from Mommy Goes On, Tammy A from My Life Abundant, Kim from KidPep and Elizabeth from Positive Kismet, hosted our first The Ultimate Party on Google Plus; Our goal was/remains to get G+ Bloggers and others on Google+ to connect, share interests, and grow. So join the fun! Each week, our G+ Circle expands as we add more new members to the group. Currently, we have 174+ members and, with your support,we will continue to grow. If you want to connect with savvy social media gurus, grow your fan base and be seen, then Google+ is key to your engagement; it's the place to be for hangouts, parties and networking events. Join us today. It is never too late to participate and share a few posts. There is also a very important fact to remember about a Google+ party: Every time someone +1's, comments, or shares your post, Google ranks that post higher. So come linkup for The Ultimate Party below! Then join in The Ultimate Party on Google+ and participate by using the hashtag #theultimateparty ! Are you joining us today? As we celebrate our eighth Google+ party, we have two fabulous co-hosts to help us run things smoothly. Amanda from Old House to New House and Camille from Colorado Springs Tours and Reviews are our co-hosts for the month of May. We appreciate the important contributions our co-hosts make every week to keep the party going. They help us with the +1's, comments, shares for each party and more. What can we expect from a co-host? Being able to check in several times for at least half of Friday (from 9-1 or from 1-5) and comment, +1, and share posts with our hashtag. Running the post on your blog. We will give you the html for the post. What are the benefits of co-hosting with us? We encourage everyone to follow you on Google+. You/your blog would be linked up automatically right after the hosts. You get to know and connect with other bloggers. If you'd like to be a co-host for June or any other month, please email Tammy@theultimatelinky(dot)com or contact us on The Ultimate Party page. Our Party starts at 9:00am EST (Eastern Standard Time), some of us leave at 6:00PM, and it finally wraps at 9:00PM. 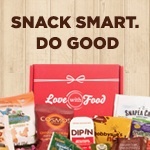 We leave the linkup open until 9:00PM for West Coast bloggers and for those who work during the day. 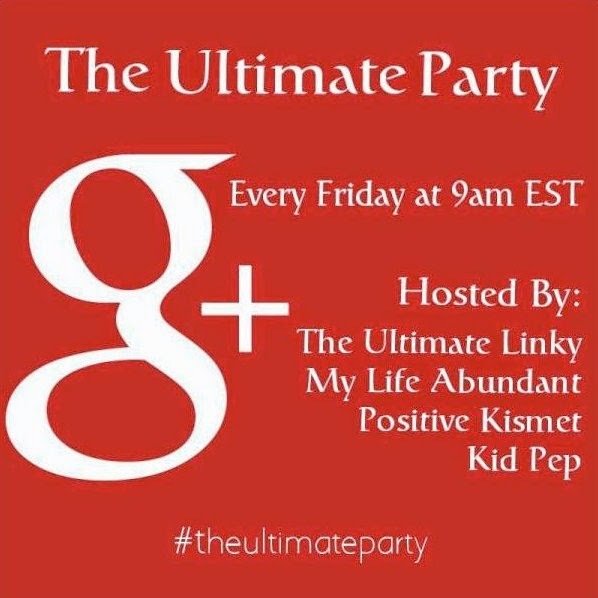 Please link up as early as possible, join the G+ party by using the hashtag #theultimateparty, and help us make this special day fun! Share 2-3 family-friendly posts and any information that would be helpful to other bloggers. Remember to support others at the party by re-sharing, liking/commenting on other submitted posts. Why did we choose Friday? We chose Fridays because studies have shown superior interaction on Google+ on Fridays from 11 a.m. - 2 pm and from 7-10 p.m. We pledge to work hard to interact with posts that link up with the hashtag #theultimateparty on Friday. Even though the linky below closes at 6:00 p.m EST, feel free to come back and comment and +1 on the posts until 9:00 pm. Please link up if you are going to party with us. We'll also create a Google+ circle based off of the link-up; so if you want to gain more followers, linking up is crucial. We also have a Google+ page called The Ultimate Party where you can receive updates and share in the threads posted on that page if you circle us! What Is a G+ Party? A G+ Party is a networking event to meet,connect with people and exchange +1s, and share G+ posts. G+ parties have one or more Hosts who organize and promote the party. Co-Hosts are often brought in to help. Why do we hold a G+ party and on Fridays? G+ postings help with SEO optimization. It helps our posts get higher ranking in Google's search engine. Friday is supposed to be the best time for interaction on G+, specifically between 11a.m. - 2 p.m. and 7 - 10 p.m. We now leave the party open until 9 p.m. for our offline workers and West Coast bloggers. Kim will hang out with you in the evening as many of your hosts live in the EST/CST time zones and might not be available at that time. Please link up as early as possible so that you get the most interaction on your posts. Join the party to interact with and get to know other bloggers. Typically, at most online parties you follow people and never interact. Here you get to see who has the same interests/niche as you do! If you would like to be emailed reminders about this party each Friday, fill out the form below. We promise not to spam you. Add our G+ Page to your circles to follow the latest news here: The Ultimate Party G+ Page. Periodically, we share some extra party features on it. Follow our Pinterest board called The Ultimate Party where all of the hosts pin your awesome photos/posts. If you repin any from the party, please try to remember to include the hashtag #theultimateparty in the pin description. Thank you! We would love it if you grabbed our button above! Link up below and get added to our Google+ Ultimate Party Circle - it's great way to grow your following. If you have any questions about the party, leave a comment here and also at the #theultimateparty site. We'd love to help make this a fun event for you.